Keith Gordon Green (October 21, 1953 - July 28, 1982) was an American gospel singer, songwriter, and pianist originally from Sheepshead Bay, New York. Green is best known for his strong devotion to Christianity and his unwavering efforts to stir others to the same. Notable songs include "I Don't Wanna Fall Away From You", "You Put This Love In My Heart", "Your Love Broke Through", and "Asleep In The Light", as well as his modern hymns "O Lord, You're Beautiful", "There Is A Redeemer", and "Create In Me A Clean Heart". Green took to music at a young age, and his talents were noted by major newspapers by the time he was only eight years old. Following a performance of Arthur Laurents' The Time of the Cuckoo, the Los Angeles Times wrote that "roguish-looking, eight-year-old Keith Green gave a winning performance," one that "stole the show". Green went on to play "Kurt Von Trapp" in a major production of The Sound of Music. At the age of eleven, Green became the youngest person ever to sign with the American Society of Composers, Authors and Publishers (ASCAP) when he published, recorded and released the song "The Way I Used to Be". In his early teens, with more than 50 original songs under his belt, Green was signed to Decca Records. Decca had plans to make Green a teen-idol, regularly getting the young man featured in fanzines like Teen Scene and on popular television shows like The Jack Benny Show and Steve Allen's show. Time Magazine called Green "a prepubescent dreamboat". His dreams of stardom were shattered, however, when Donny Osmond stole his short-lived spotlight and Green was quickly forgotten. By his mid-teens, Green became heavily involved in drug use, eastern religion, astrology, and mysticism. After experiencing a really horrifying "bad trip", he abandoned drug use and also became bitter towards philosophy and theology in general. In the midst of his skepticism, as Green described it, God's love 'broke through' his 'calloused heart'. He began on a new path 'with Christ as his guru', but had many 'spiritual struggles' and hardships along the way. He married his wife Melody in 1973, and the two became involved in the Vineyard fellowship in Southern California, where they were introduced to Bob Dylan. The Greens began an outreach program to their community by purchasing two homes (and renting five) to provide housing and care for prostitutes, drug addicts, and homeless people. Eventually, the couple and the rest of their group relocated to Lindale, Texas, where the Greens founded Last Days Ministries. Green began to release a series of albums in the new Contemporary Christian music market in 1977, after being signed to Sparrow Records and working on their Christian musical album Firewind (1976) with 2nd Chapter of Acts, Terry Talbot, John Talbot, and Barry McGuire. Two years later, Keith would shock many in the industry by refusing to charge money for concerts or albums. He insisted that his new label, Sparrow Records, let him out of his contract. The Greens then mortgaged their home to privately finance the album So You Wanna Go Back To Egypt? (with a guest appearance by Bob Dylan), which was then offered through mail-order and at concerts for "whatever you could afford". As of May of 1982, Green had shipped out more than 200,000 units of his album - 61,000 for free. Last Days Ministries also began publishing a self-described "small, colorful magazine" called the Last Days Newsletter. The magazine featured articles by Keith and Melody as well as contemporary authors such as David Wilkerson, Leonard Ravenhill, and Winkie Pratney, all of whom lived in the area, as well as reprinting work by earlier Christian workers such as Charles Finney, John Wesley, and William Booth and his wife Catherine. The newsletter had such an impact on the Christian community at the time that many of the articles were reprinted as tracts. Green was killed on July 28, 1982, when a small airplane owned by Last Days Ministries crashed on takeoff. Green had planned to give visiting friends an aerial view of the Last Days Ministries compound. Two of Green's children, three year old Josiah, and two year old Bethany, were also on board the plane, as was pilot Don Burmeister, and friends John and Dede Smalley and all six of their children. All passengers were killed in the crash. Crash investigators determined that the aircraft was nearly 500 lb (230 kg) overweight with 12 passengers and only 6 seats. Keith, Josiah, and Bethany Green are interred at Lindale Cemetery. In 1992, several artists joined together to re-record many of Green's most well known songs for a tribute album called No Compromise: Remembering the Music of Keith Green, on Sparrow Records. Artists contributing to that record included Charlie Peacock, PFR, Susan Ashton, Margaret Becker, Michael Card, Rich Mullins, and Russ Taff. 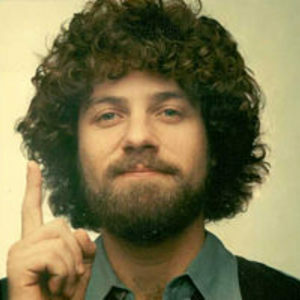 BEC Records released a second, more modern, tribute record Start Right Here: Remembering the Life of Keith Green, in 2001. That tribute was produced by Derri Daugherty and included performances by MxPx, Joy Electric and others. In 2002, upon the twentieth anniversary of Keith's death, Sparrow Records released another tribute album. Your Love Broke Through: The Worship Songs of Keith Green contains re-recordings by Rebecca St. James, Michelle Tumes, Chris Tomlin, Twila Paris, Darlene Zschech, Jason Upton, Martin Smith, Charlie Hall, Joanne Hogg, Matt Redman, Paul Oakley, and Sarah Sadler. This album also includes "There Is One" performed by Michael W. Smith, which was an unfinished work completed by Michael W. Smith and Martin Smith. Since the time of his death, the only known unreleased Christian song recorded by Keith was "Born Again". This song was finally released 17 years later in 1999 on the First Love compilation video and CD, which also features a two-song tribute to Keith by other artists. Keith was working on other songs at the time of his death, but these are in the sole-possession of his widowed-wife, Melody Green, and not available to the public. Melody inherited Keith's writings as well, and she has released many excerpts of these as books: Cry In The Wilderness (Sparrow, 1993), If You Love the Lord (Harvest House, 2000), and Make My Life a Prayer (Harvest House, 2001). On November 27, 2001, Green was inducted into the Gospel Music Hall of Fame. Keith's mother, Char Green was present with a heavy heart but very proud of her son. Since 1982, Melody Green has continued to operate Last Days Ministries from Oceanside, California, and has "become an internationally known speaker and author". She now ministers as a Christian prophet and a touring evangelist. The land in Lindale, Texas (more specifically, Garden Valley, Texas) where Last Days Ministries was once located is now occupied by Teen Mania Ministries. Teen Mania has dedicated one of its dormitories, Green Hall, in memory of Keith. There is a biography of Keith Green's life written by Melody Green with David Hazard called No Compromise: The Life Story of Keith Green (Harvest House Publishers, 1989; revised and expanded in 2000) and a documentary film called Your Love Broke Through: The Keith Green Story (available from www.keithgreen.com and serialized on youtube.com).